My skin has now turned a little dry since the Autumn months and no doubt with Winter on it's way my skin will begin to feel tight and parched. The central heating doesn't help either and I've already begun to notice a difference in my skin. Thankfully I've had a good moisturiser which has helped protect my skin and keep it hydrated. 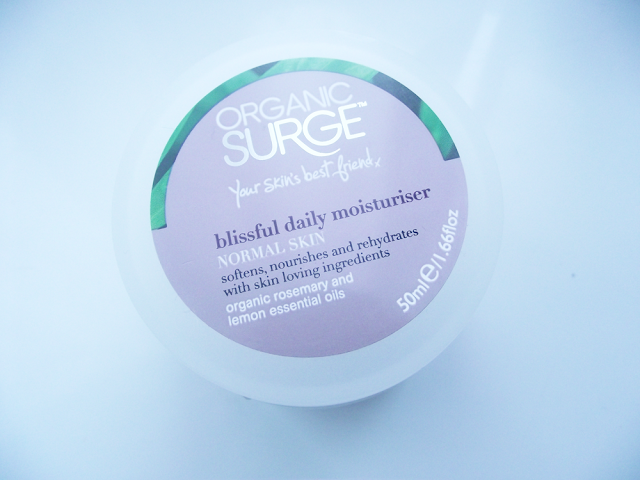 I've been using the Blissful Daily Moisturiser which is aimed at normal/combination skin types like mine. However if you have dry skin they do have a more intensive cream suitable. The creams are suitable for sensitive skins, I think some skins are more prone to sensitivity especially this time of year. I know I've mentioned before about Organic Surge and about the brand and their ethics, I can't stress again how amazing the cost of the day cream is. The list of ingredients is amazing, Rosemary, Lemon and Sweet Orange essential oils. These help to purify and tone the skin whilst eliminating toxins. Other great ingredients such as Green tea and and Grapeseed oil help to reduce inflammation and soothe the skin. So if you often get redness or your skin feels uncomfortable and tight this would be perfect for you. 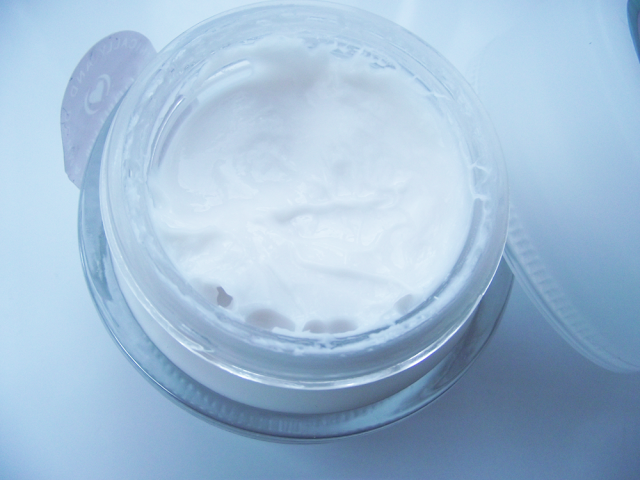 I couldn't believe the formulation, it's rich and hydrating yet it doesn't feel thick or heavy on the skin when applied. It absorbs very quickly and doesn't leave a greasy film on the skin which can sometimes feel a little strange. The packaging is plain and simple, a nice glass jar which is easy to use, not travel friendly but still sturdy. They currently have 3 for 2 on offer so take advantage and treat yourself and grab a couple xmas pressies!! Organic Surge is 100% free from SLS, parabens, artificial fragrances and colourants.